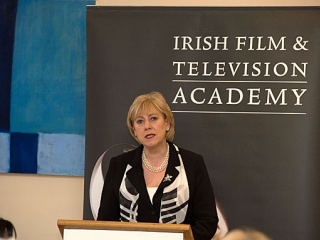 The Irish Film & Television Academy hosted an informal industry breakfast meeting with Minister for Arts, Heritage and the Gaeltacht, Heather Humphreys, T.D. in Dublin city centre. Members of the Academy and key Industry representatives and practitioners had an opportunity to meet and discuss the audiovisual industry where the Minister presented a short briefing.